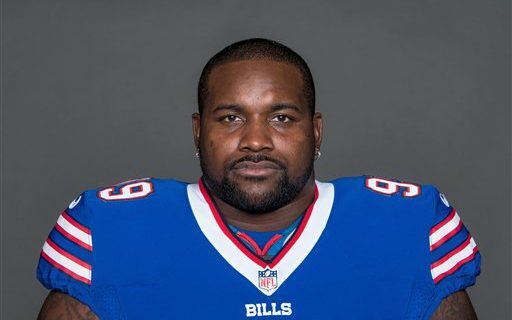 The Bills and DT Marcell Dareus have seemingly been on the path to divorce for months now. That came to fruition Friday evening when Buffalo sent their 2011 #3 overall selection to the Jacksonville Jaguars for a conditional 6th round draft pick in 2018 (it improves to a 5th round pick if the Jaguars make the playoffs). Trades for players of this magnitude come with plenty of numbers in both directions, so we’ll take a quick look at the financial implications for each team. There are two types of dead cap in play here: Paid Salary, & unallocated bonus money. Dareus held a $9.75M salary with the Bills in 2017. 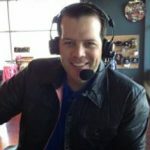 With 7 weeks played, they keep the $4,014,706 already paid on their cap for the rest of the season. The unallocated bonus money comes from two places, a $25M signing bonus, and a $7M option bonus. The cap for the signing bonus splits across 5 seasons (2015 – 2019) at $5M per year. The cap for the option bonus splits across 5 seasons (2016-2020) at 1.4M per year. Based on the dead cap figures shown above, the Bills were able to clear $5,735,294 in cap for 2017, and another $2.375M in 2018. So while the dead cap hits are large, there’s still a silver lining in terms of the business side to the deal. The Jaguars essentially acquire Dareus on a 5 1/2 year, $56.74M contract, including cap figures of $5.7M, $10.175M, $11.585M, $14.6M, & $14.65M through 2021. But with the Bills taking on nearly all of the future dead cap, very little risk remains on this contract going forward. Should they want, Jacksonville can release Dareus early next March, taking on a $7.35M dead cap hit for the guaranteed 2018 salary. After 2018, $0 in dead cap remains, making him a free release. At the time of signing, the previous Bills regime and Dareus were on somewhat better terms both on and off the field, and his production certainly warranted a Top 5 defensive contract. The length and overall value of his 6 year $96M deal wasn’t really an issue – in fact it lined up almost to the dollar with our calculated market value back in early 2015. The problem however, was the structure. Not only was Dareus awarded a massive $25M signing bonus, but another $7M option bonus kicked in the following season. Add on to that the scenario where his next year salary became guaranteed in the year prior, and the Bills had absolutely no way to release Dareus in a feasible manner until at LEAST 2019, 4 years into the deal. Trading Marcell was the Bills only out, and they did very well to find a team in Jacksonville with a similar scenario to their own – overachieving in the standings, but still unstable in the immediate future in many key areas (including the QB position). While some may look at the football ceiling of Dareus and question the Bills for bailing on a player of this caliber amidst a 4-2 season, this is simply just another example of new GM Brandon Beane proving he can and will sell when the value is high enough (See: Sammy Watkins). The business side to the game almost always wins out.